Last weekend, on June 24 & 25 2017, the New Generation Got Game vol.IV| New Kids on the Court took place in the outdoors court of Ampelokipi (Fthiotidos & Plakentias)! 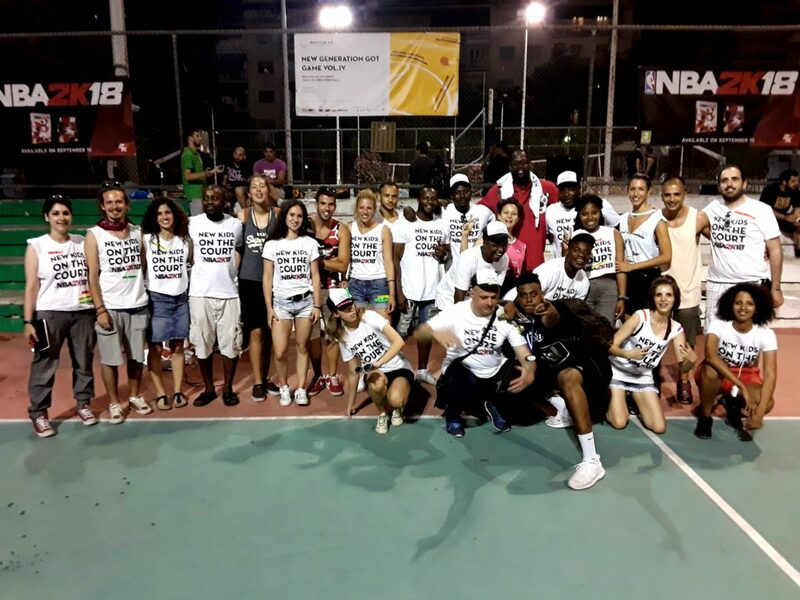 It is hard to accept the fact that the biggest Intercultural Basketball 3on3 Tournament is over already, but we are sure that everyone left pleased and filled with unforgettable images from these two beautiful days of summer. This year, Athens’ favorite intercultural tournament was brought to a whole new level: more than 70 teams and 280 people from at least 20 different places of the world registered and participated in the open courts, aiming for the winner title! Amongst them, we saw many players from the last years and many newcomers, women and men from 16 to 40 years old, while the skill level started from amateur teams up to pro National athletes. The 12 women teams stepped fiercely their foot on the male-dominated courts and proved that the passion for basketball does not recognize color, origin or religion, and discrimination due to gender or sexual orientation have no place within the sports field. These teams gave us many beautiful memories, with the Athens Pride cheerleaders dominating the spectator’s seats! The Ninja team won the first place in the women category, while Evaggelia Vamvaka, claiming the name of her team, jumped like a ninja and scored the last point which ended the game. 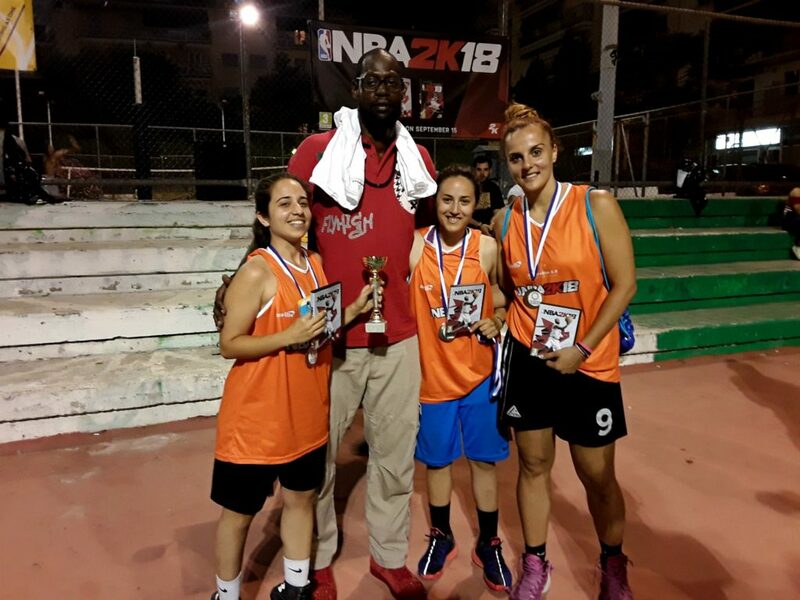 The MVP trophy was passed on to Despina Nomikou, who once again raised the cup of the New Generation Got Game Tournament. Passing on to the men category, many were the teams that really caught our eyes, with the Velvet Hammers fighting until the end with the Dream Chasers, who scored the last 3-pointer, giving the victory to the team. 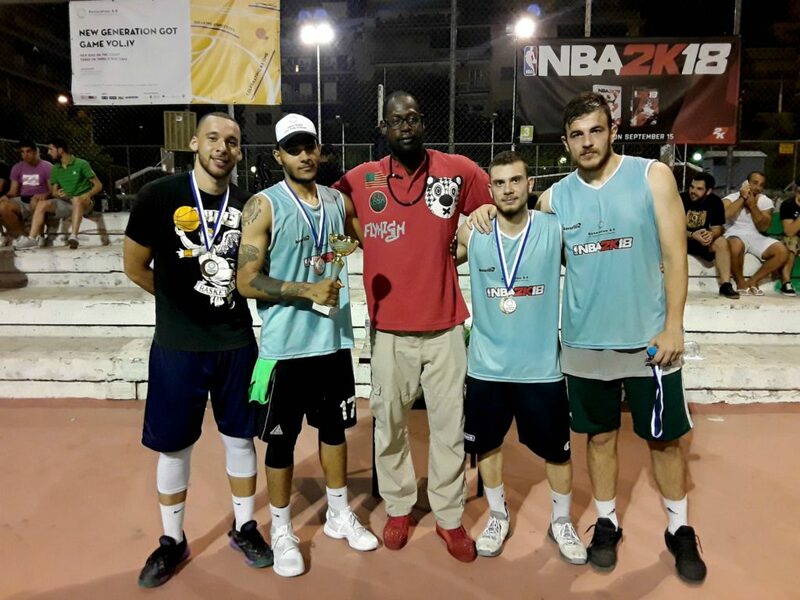 Chriss Iliopoulos was declared MVP for the Dream Chasers who, along with the Ninja team, won a five days trip to Syros Island, all expenses covered by Generation 2.0 RED! But the winning teams weren’t just the first two. The second and third team from each category won 12 in total NBA2K18 video games from our grand sponsor! James Gist, one of the best power forwards in the Euroleague and a Panathinaikos player since 2012, came straight from the airport for the awarding ceremony. Οι υπέροχες Boston Asxetics που πάλεψαν μέχρι τελευταία στιγμή και βγήκαν δεύτερες στην κατηγορία γυναικών! This was a weekend full of beautiful moments, happiness, laughing, dancing, emotion, competition, colors and passion for basket! We want to thank those who participated, those who clapped, those who danced, those that were there and those who supported us in distance, all those who made this day so special. We also want to thank our sponsors who showed their support, NBA2K18, CU, ZAGORI, Western Union, Blue Star Ferries, RISE, Basket City and the Hellenic Red Cross Samaritans, Rescuers and Lifeguards Corp that were there for our athletes. We do not forget DamnedOne from Psyclinic Tactix and Dj Mpompos from Bad Kids who made sure there was music to keep the tempo and our mood on high levels! These are the new Greeks on the court! Most of all, though, we ought to send a big shout-out to each and everyone on the team of volunteers who run from Saturday morning to Sunday night in order to set up, organize, clean up, take care of everything that came up throughout the weekend and help wherever they could. Without them, this tournament would seem impossible! Next stop? Syros, here we come! Find the photo album here.